The fund supports the Acacia Academy. The fund supports First Evangelical Presbyterian Church, Kokomo. This fund provides scholarships for Howard County high school graduates seeking a nursing or medical degree. The fund provides scholarships for Howard County graduates who will be seeking a degree in education. This fund provides support for the Howard County Historical Society for the landscaping. This fund provides support for the Kokomo Rescue Mission for the maintenance of its facilities. This fund supports building maintenance and physical improvements at Grace United Methodist Church. This fund supports Bridges Outreach, Kokomo Rescue Mission and Kokomo Urban Outreach. This fund supports Western High School graduates who will be attending Purdue University at Kokomo. This fund provides scholarships for graduates of Kokomo High School who participated in minor sports or cheer leading while in high school. This fund supports the operating budget of the Community Foundation of Howard County. This fund supports the activities of Bona Vista. This fund provides support for oncology patient services or services for persons receiving hospice care. The fund supports Bridges Outreach. The fund provides support to charitable organizations for worthwhile programs/projects in Howard County through the Foundation's competitive grants process. This fund supports the scholarship program of the First Evangelical Presbyterian Church, Kokomo. This fund supports Camp Kesem which offers grief counseling to children who are dealing with bereavement issues. This fund provides support to programs and projects that are designed for the enrichment and growth of youth in Howard County. The fund supports the Carver Community Center. The fund supports the school's PTA program. The fund supports the Kokomo Symphony Orchestra. This fund supports programs and activities that will positively impact children in Howard County. This fund supports the Clinic of Hope. This fund supports the Howard County Historical Society. This fund supports the Destination: Education program at Indiana University-Kokomo. This fund supports students seeking degrees in the educational field. 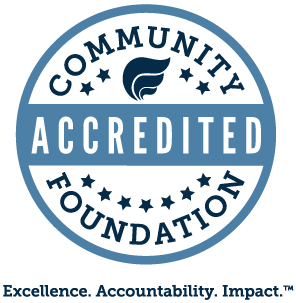 The fund supports the Community Assistance Foundation as it serves the community. This fund supports the annual operating budget of the Community Foundation of Howard County. This fund provides scholarships for Howard County high school graduates who are accepted into a program leading to a bachelor's degree in elementary education, ministry, or mission field. This fund supports the Kokomo Rescue Mission, Family Service Association, and the scholarship program of the Kokomo Public Schools Education Foundation. This fund provides support for charitable programs or projects for the prevention or treatment of heart disease, leukemia, or mental illness. This fund supports Cross America Inc. This fund supports scholarships for Kokomo High School graduates pursuing a two- or four-year degree in structural engineering, architecture, building trades, real estate, drafting, business, finance, accounting, or some other field related to building trades at a college or university in Indiana. This fund supports scholarships for Taylor High School graduates pursuing a two- or four-year degree in structural engineering, architecture, building trades, real estate, drafting, business, finance, accounting, or some other field related to building trades at a college or university in Indiana. This fund provides scholarships for high school graduates from the counties of Howard, Carroll, Cass, Clinton, Grant, Miami and Tipton, Ind., who are or will be attending any accredited trade or business school, such as Vincennes University and/or Ivy Tech Community College (not a four-year program). This fund supports early childhood learning and youth development programs. For support as recommended by the advisors of the fund. This fund provides scholarships for Northwestern High School students, with a preference for students who have taken challenging English classes and have participated in music or performing arts. This fund provides scholarships for qualified students graduating from Kokomo High School who have participated in sports at the high school. This fund provides scholarships for current residents of Howard County or persons who graduated from any Howard County High School, who are accepted to attend the Indiana University School of Medicine, and are pursuing a degree as a medical doctor. This fund provides support to improve the level of kindergarten readiness of children in Howard County through the work of the Early Childhood Education Center. This fund supports the programming activities of the Eastern Howard Performing Arts facility. The fund provides scholarship support for students from Clay, Ervin or Howard Townships in Howard County who need financial assistance and are attending any accredited college or university. This fund supports charitable, literary, social, religious, or educational purposes in Howard County as recommended by the advisor to the Fund. This fund supports the Kokomo Art Association. This fund supports the Family Service Association of Howard County. This fund provides scholarships for Kokomo High School graduates pursuing a degree in the educational field. This fund provides scholarships for Western High School graduates seeking a degree in elementary education. This fund supports the Fingleton scholarship at the Indiana University Kokomo School of Business. This fund provides assistance to graduates of Howard County high schools who need financial assistance to attend any state supported post-secondary educational institution. First Congregational Christian Church "Closet Fund"
This fund provides support to Howard County middle schools/junior high schools as they provide relief to underprivileged students. This fund supports the mission projects of the church. This fund provides support for mission participation, Christian education, and worship activities of First Congregational Christian Church. This fund provides support for capital improvements, required maintenance or repair on physical facilities of the First Congregational Christian Church. This fund provides scholarships for Howard County high school graduates pursuing a degree as a medical doctor. This fund supports the New London Cemetery and the Russiaville Cemetery. This fund supports the granting activities of the Youth Council of the Community Foundation of Howard County. This fund provides scholarships to graduates of Maconaquah High School and Northwestern High School who attend accredited colleges or universities in the study of fine arts in piano. This fund supports Bridges Outreach. This fund provides scholarship support for students in the Destination: Education Program who enroll in a Purdue University degree program in Kokomo or West Lafayette. This fund provides support to the Mental Health America of Indiana for the purpose of supplying canteen funds for Howard County citizens who are in a state hospital or group home. This fund provides support as to the YMCA to provide annual memberships for deserving girls and boys who are unable to finance their own memberships. This fund supports the services of The Gilead House. This fund supports scientific, literary religious, social, and educational programs as recommended by the advisors of the Fund. This fund provides scholarships for students who participate in the Destination: Education IUK program. This fund supports the ministries of Grace United Methodist Church. The fund provides support to local outreach ministries of Grace United Methodist Church. This fund supports the outreach ministries of Grace United Methodist Church. This fund supports the Greentown Historical Society. This fund supports the Greentown Public Library. This fund supports Habitat for Humanity of the Kokomo community. This fund provides support to Haitian children for food, clothing, and the opportunity to attend school. The fund provides scholarships for qualified students graduating from Western High School who will be seeking a degree in business or history. This fund supports the Glen and Jeanne' Harland scholarship for Purdue-Kokomo technology students. This fund supports students graduating from Kokomo High School who are accepted into a program leading to a bachelor's degree in engineering including engineering technology at an accredited college or university in Indiana. This fund provides scholarships for Kokomo High School graduates who are accepted into a program leading to a bachelor's degree at Indiana University-Kokomo or Indiana University-Bloomington. This fund supports activities and programs designed to improve the health of citizens of Howard County. This fund provides scholarships for Western High School graduates who participated in a varsity sport during their senior year. Preference is given to students who participated on the varsity tennis team. This fund supports youth, community development and education. Further purposes of the fund is to provide support for any other religious, charitable, scientific, literary, or educational purpose or for the prevention of cruelty to animals or children within the United States as recommended by the advisors of the Fund. This fund provides scholarships for Northwestern, Western and Kokomo high schools graduating seniors. This fund supports scholarships for non-traditional students. This fund provides support for Northwestern High School graduates who are studying to be teachers. This fund was established by Betsy and Bob Hoshaw to support programs and organizations that improve the water quality and surrounding environment of the Wildcat Creek Watershed. This fund provides funding to endow a chair for the Kokomo Symphony orchestra. This fund provides support to the scholarship program of Indiana University Kokomo. This fund provides scholarships for Howard County graduates who are or will be attending Indiana University Kokomo, Purdue University Kokomo, or Ivy Tech Community College in Kokomo. This fund provides support to the youth serving organizations in Howard County as they deliver programs and projects in Howard County that are designed for the enrichment of lives and encouragement of educational attainment of at-risk youth with a view toward making productive citizens of this community. Of particular interest are mentoring programs and programs to prevent substance abuse. This fund supports the Howard County 4-H. This fund supports the care, maintenance, operating expenses and expansion of the Howard County Veterans Memorial in Darrough Chapel Park. This fund provides scholarships for Howard or Tipton County high school students. Applicants may be union members or have a parent or guardian who is a member of a labor union. This fund provides support to the Hospice Center of the Northfield Hospital in Northfield, Minnesota. This fund provides relief to the indigent as recommended by the advisors to the Fund. This scholarship fund supports Western High School graduates. Preference will be given to students who have studied family and consumer sciences in high school and who plan to continue in this field. If no one fits this criteria, then students who have studied family and consumer sciences and who major in education will be considered. This fund provides scholarships for Howard County high school graduates who are pursuing courses of study in fields that lead into careers in the medical and/or dental profession. This scholarship supports Kokomo High School graduates. This fund supports the Howard Community Hospital Foundation. This fund provides support to Howard County high school graduates who are pursuing post-secondary education in mathematics, science, engineering, or accounting. This fund supports the scholarship program of the Kokomo Morning Musicale. This fund supports the Kokomo CEO student entrepreneurial program. This fund supports the Kokomo Civic Theatre. This fund supports the granting of scholarships to students graduating from high school for post-secondary education. The fund provides support to charitable, literary, social, religious or educational purposes, as recommended by the advisors to the Fund. This fund supports scholarships for Kokomo High School graduates who need assistance for post-secondary education and who demonstrate school spirit. This fund supports scholarships for graduates of Kokomo High School. This fund provides scholarships for Kokomo High School graduates. This fund supports the Kokomo-Howard County Public Library. This fund supports the Kokomo Humane Society. This fund supports the Kokomo Morning Musicale scholarships. This fund provides support to Ivy Tech Community College Region 5 to provide scholarships for deserving Howard County students studying automobile technology/mechanics training. This fund supports the Kokomo Park Band. This fund provides support for educational activities and programs within the area served by the Kokomo/Center Township School Corp. This fund supports the Rescue Mission of Kokomo, Indiana. This fund provides scholarships to Howard County graduates who demonstrate the characteristics of a "total person." This fund supports the Kokomo Symphony Orchestra. This fund supports scholarships for residents of Howard County who are students enrolled in at least nine credit hours in any program at Ivy Tech Community College Region V.
This fund provides scholarships to Howard County and Maconaquah high school graduates who will be studying the fine arts. This fund provides scholarships for high school graduates who will be studying journalism. This fund provides scholarships for students graduating from a Howard County high school who are accepted into a program leading to a bachelor's degree in special education at an accredited college or university in Indiana. This fund supports the Community Foundation of Howard County operating budget. This fund provides support for the ministries of the Lutheran Church of Our Redeemer in Kokomo. This fund provides support for the maintenance, repair, or improvement of the physical facilities of the Main Street Christian Church in Russiaville. This fund provides support to the Community Foundation of Howard County operating budget. This fund supports charitable, literary, scientific, religious or educational purposes as recommended by the advisors of the Fund. This fund supports the Magic Closet at Kokomo High School, other organizations that provide relief to underprivileged students at any Howard County high school, or any charitable, literary, scientific, educational and religious purpose within Howard County. This fund provides support to St. Luke's United Methodist Church in Kokomo as it carries out its ministries in the community. This fund provides support to Birthright of Kokomo. This fund provides support to boys or girls AAU basketball teams from Howard County. This fund provides support for charitable, scientific, literary, educational, and religious efforts within Howard County as recommended by the advisor of the Fund. This fund provides scholarships for Howard County professional educators in the Kokomo School Corporation or Howard County school districts seeking an advanced degree and/or certification in the field of education. The secondary purpose is for Howard County high school graduates pursuing an education degree. This fund provides scholarships for Howard County graduates who are pursuing a degree to become a registered nurse. This fund provides support for the preservation, beautification and maintenance of New London Cemetery. This fund supports scholarships students graduating from Eastern High School. This fund provides support to the Community Foundation of Howard County. This fund provides supports the mission of Oakbrook Community Fund. This fund provides support for students seeking degrees related to retail merchandising. The fund provides scholarship support for students from Tri-Central High School or Western High School who need financial assistance and are attending any accredited college or university. This fund supports the Literacy Coalition. This funds provides scholarship support for Kokomo High School graduates. This funds provides scholarship support for Western High School graduates. This fund supports mission projects of the First Congregational Christian Church, Kokomo. This fund provides scholarship support for high school graduates in the Sagamore Council area with preference given to Eagle Scouts. This fund supports American Red Cross, American Cancer Society, Community Foundation, Kokomo Park Band, and Marine Corps League. This fund supports the residents of Pennfield Friends Housing. This fund provides support to the Eastern Howard School Corporation for the purchase of books and other reading and media resources for the Eastern Elementary School Library. This fund provides scholarships for Kokomo High School graduates attending Indiana University. This fund supports Project Access. This scholarship fund supports Western High School graduates attending any accredited four-year state-supported college or university in Indiana. This fund provides scholarship support for students graduating from accredited high schools in Howard, Tipton and contiguous counties. The fund provides support for charitable, literary, scientific, religious or educational purposes as recommended by the advisors to the Fund. The fund provides support to parents of students at the school who need assistance with tuition. This fund supports scholarships for qualified students studying cosmetology with preference to Kokomo Career Center cosmetology students. This fund supports One17 International, Inc. This fund provides support for the general charitable purpose and ministries of the St. Andrew Episcopal Church in Kokomo, Indiana. This fund supports the activities of the Sagamore Council, Boy Scouts of America. The fund supports the activities of the Saint Joan of Arc Catholic Church, Kokomo. This fund provides support to Samaritan Caregivers. This fund provides scholarships to students graduating from Kokomo High School, Northwestern High School and Western High School who major in education. This fund provides tuition assistance to persons who have been tried as adults and incarcerated for crimes committed as juveniles, who have been model prisoners and are seeking to prepare for a productive career. This fund supports programs and activities that will positively impact senior citizens in Howard County. This fund supports charitable programs and organizations that benefit youth, education, and health care as recommended by the advisors to the Fund. This fund supports programs in the areas of child care, beautification, youth, and Destination: Education IUK. This fund supports scholarships for students from Northwestern High School. This fund provides support for the operating budget of the Community Foundation of Howard County. This fund provides support for physically and mentally-handicapped children and adults in Howard County through the Foundation's competitive grants process. This fund supports programs and organizations that benefit education and other charitable purposes as recommended by the advisor of the Fund. This fund supports the activities and programs of the Literacy Coalition. This fund supports students graduating from high school who have successfully completed the Kokomo CEO Program through the Kokomo Area Career Center. This fund provides financial support for families in need of financial assistance with enrollment. This fund provides scholarships for students graduating from any accredited high school in Howard County to acquire an education beyond high school. This fund provides scholarships for Northwestern High School students, with a preference for students studying music, performing arts or entertainment production. This fund provides scholarships for Howard County high school students with a preference for students who will be studying music or Christian education. This fund provides scholarships to graduating seniors who are residents of Taylor Township and are enrolled in any accredited two- or four-year college or trade school. This fund provides scholarships for qualified students who have financial need and will be attending Indiana University Kokomo, Purdue University Kokomo, Indiana University Bloomington, Purdue University Lafayette, or Indiana University Purdue University Indianapolis. This fund supports organizations that serve Howard County's youth. This fund provides support to the Howard County Historical Society. This fund provides support to the Kokomo Symphony Orchestra. This fund supports scholarships for students graduating from Kokomo High School who are in the top 10% of their class and who need assistance. This fund supports educational scholarships. This fund provides support for girl scout activities in Howard County. This fund provides scholarships for qualified students graduating from any Howard County high school. This fund supports the United Way of Howard County. The purpose of this fund is to provide support for the maintenance of streetscape improvements in downtown Kokomo. This fund was established by members of the Western High School 1962 graduating class to provide scholarships for graduates of Western High School. This fund was established to provide scholarships for graduates of Western High School. This fund provides scholarships for female students graduating from Western High School who are or will be attending an accredited college or university. This fund provides support for charitable programs or projects supporting mental health and early childhood/youth development. This fund provides support to Bona Vista Programs for its work with children with mobility issues. This fund provides scholarships for student athletes graduating from Taylor High School who will attend an accredited college or university. This fund provides scholarships for qualified students graduating from any Howard County High School who are or will be attending Purdue University. This fund provides operating support to the Community Foundation of Howard County. This fund was created to foster learning opportunities for Eastern High School instrumental music students by easing the financial burden of instrument availability and affordability and providing funds for special clinics and instruction. This fund supports programs and activities that will positively impact women and girls in Howard County. This funds supports charitable programs and activities within our community as recommended by the advisors of the Fund. This fund supports the Delmar Demaree Family YMCA. This fund benefits the Kokomo Rescue Mission, Grace United Methodist Church, Grace Baptist Church, and the United Methodist Church of Bennett's Switch, Indiana. This fund supports scholarships for students graduating from any Howard County high school graduates who need assistance for post-secondary education.